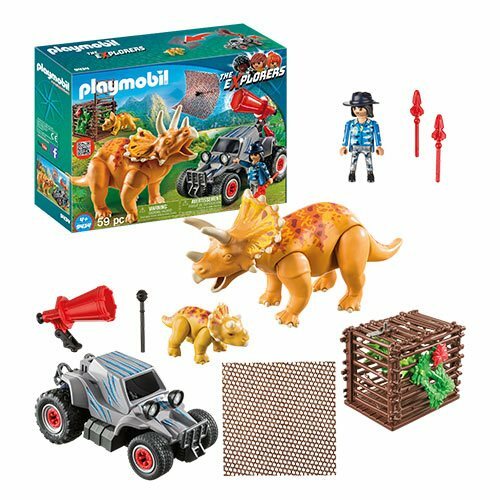 Playmobil 9434 Enemy Quad with Triceratops. The bad guys use the functioning net cannon to capture dinosaurs! The driver measures about 3-inches tall, and he chases down a triceratops with her hatchling. The figure's facial expression can be changed between good and bad by turning the head 180 degrees. The eyes of the "evil face" glow when illuminated with UV light. Ages 4 and up.